"We are happy to recognize Robert for his many years of support to the military," said William French, ASYMCA President and CEO. The Angel of Honor Award is the highest award the Armed Services YMCA can confer, and is presented to an individual or organization demonstrating distinguished and extraordinary advancement of the Armed Services YMCA mission. Last year, actor and talented musician Gary Sinise was the recipient. Recipients of the Angel of Honor Award must make contributions that extend and propel the mission of the Armed Services YMCA. This year, the ASYMCA Board of Directors selected Robert Irvine for his commitment to the physical and mental health of service members and their families. 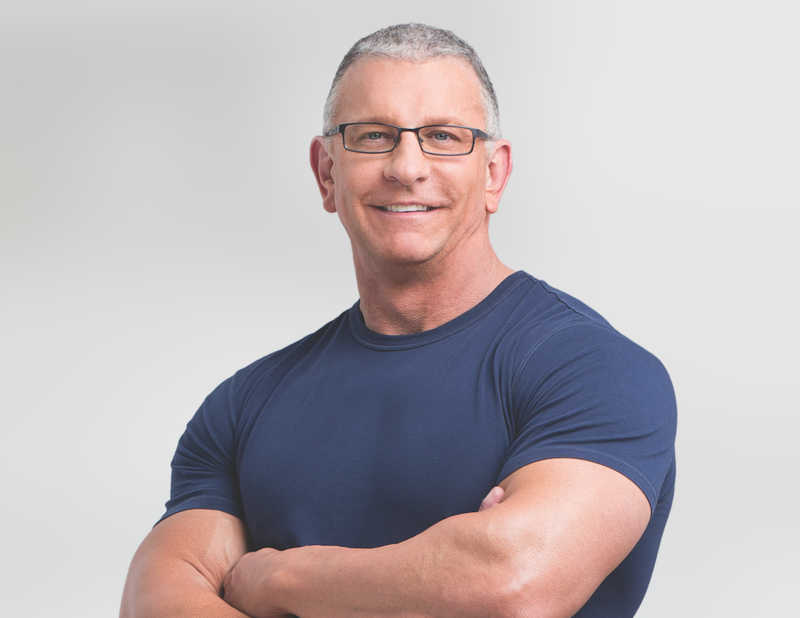 Robert Irvine is an award-winning chef, fitness authority and philanthropist best known for his long-running Food Network shows Dinner: Impossible and Restaurant: Impossible. A sought-after TV chef, Irvine has also appeared on Worst Cooks in America, Next Iron Chef and Chopped: Impossible, to name a few. Irvine is the author of Impossible to Easy and Mission: Cook, gourmet cookbooks for home chefs, and Fit Fuel, featuring whole-food recipes, motivational tips and workout advice. An authority on health and fitness, Irvine was named one of Men’s Fitness’ ‘25 Fittest Guys in America’, penned a monthly recipe column in Muscle & Fitness and hosts a video recipe series on BodyBuilding.com. In 2013, Irvine launched FitCrunch protein bars, brownies and powders sold in convenience stores and major retailers worldwide. A tireless advocate of the military, Irvine established The Robert Irvine Foundation in 2014 to support veterans and military causes. Irvine often attends troop rallies lead by the Gary Sinise Foundation and tours regularly with the United Service Organizations. In 2016, Irvine launched Robert Irvine Magazine, a free digital magazine featuring healthy recipes, fitness advice and motivation for overall success. 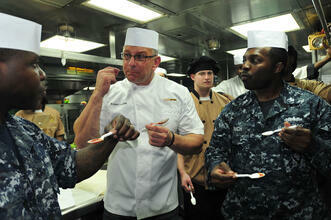 Continuing his military support, Irvine is the first celebrity chef to open a restaurant, Robert Irvine’s Fresh Kitchen, at the Pentagon in 2016. In 2017, Irvine opened a Gold's Gym franchise in Largo, Florida and Robert Irvine's Public House—offering elevated pub fare—at the Tropicana Las Vegas. Also in 2017, Irvine teamed with Boardroom Spirits as co-owner to provide ‘better for you’ spirits. Irvine has earned several top awards and honors including: US Department of the Army Outstanding Civilian Service Award, US Navy Honorary Chief Petty Officer, and both the Culinary Excellence Award and Ambassador honor from the Culinary Institute of America. The Armed Services YMCA is a registered 501(c)3 nonprofit that serves active duty military members and their families. In 2017, the ASYMCA registered more than 250,000 participants and delivered more than 1.3 million points of service to junior enlisted Soldiers, Marines, Sailors, Airmen and Coast Guardsmen and family members at 200 service centers in 18 states. Whether providing respite child care for parents in need, summer camps for kids, or assisting with emergency needs, the Armed Services YMCA is a nonprofit with a mission: Strengthening Our Military Family. Visit our website to see how you can join us in supporting military families.